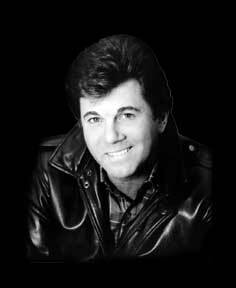 Larry Manetti started acting in his hometown of Chicago. After studying acting with the Ted List Theater Players, Larry drove to Los Angeles in 1972. Larry landed an agent and was sent to Universal Studios to audition for an opening as a contract player. Luck was on his side. Jack Webb was casting a new series for NBC called The Chase. Larry played a young detective. After attending acting school at Sal Dano's at night and doing bit parts by day, he scored. Baa Baa Black Sheep was being produced and cast at Universal, and the now famous writer Stephen J. Cannell was the executive producer and the role was a natural for Larry. He was cast as a cocky, hot shot pilot named Bobby Boyle. The show was a big hit for NBC but was cancelled within two years. Because the network was so impressed with Larry's on-screen presence, they cast him in a new series called The Duke. Bad luck! The Duke was cancelled in one year. Larry was back to playing whatever Universal told him to. Hoping to catch lighting in a jar, along came Magnum, P.I. and the role of Rick. This was his elevator...the show became a mega-hit for 8 years. Since Magnum, P.I., Larry has done co-starring roles in 25 feature films and guest starred on many hot TV shows. Larry is the author of a book titled Aloha Magnum. As for the future ... just follow his jet stream! Listen to the Magnum P.I Theme while you browse. Listen to the Baa Baa Black Sheep theme while you browse. Copyright © 2001 Larry Manetti. All Rights Reserved.